Enjoy your fun-filled Costa Rica vacation! In this journey you will unveil the beauties of the northern plains of our country as well as the tropical dry forest of Costa Rica´s North Pacific. You will relax in the world famous hot springs of Arenal Volcano, witness the unbelievable change of color of Río Celeste, explore and adventure in the Rincón de la Vieja Volcano´s natural landscape and, finally you will chill in the amazing beaches of Costa Rica´s Guanacaste! 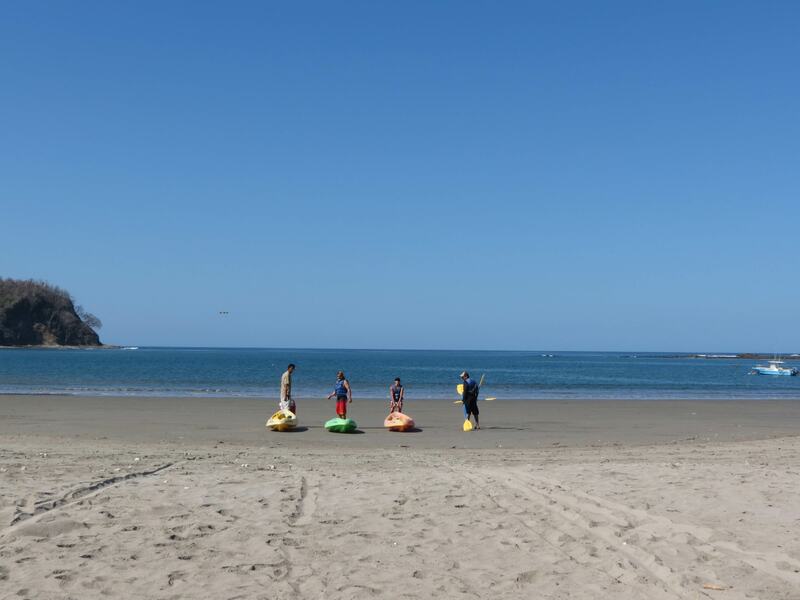 It is in fact Guanacaste that holds the majority of the beach resorts of Costa Rica, thanks to the breathtaking beauty of the coastal landscape: a perfect setting for fun and travel! Pacific beaches, valleys, lowlands flora and fauna of the different ecosystems: Rain forest, dry forest, mangroves & Coastal Vegetation, and of course all the natural beauty, and the friendship of some peace loving people that Costa Rica has to offer …COSTA RICA, NO ARTIFICIAL INGREDIENTS !!! Be happy in Costa Rica! Like God washed his brush here, after painting the sky! 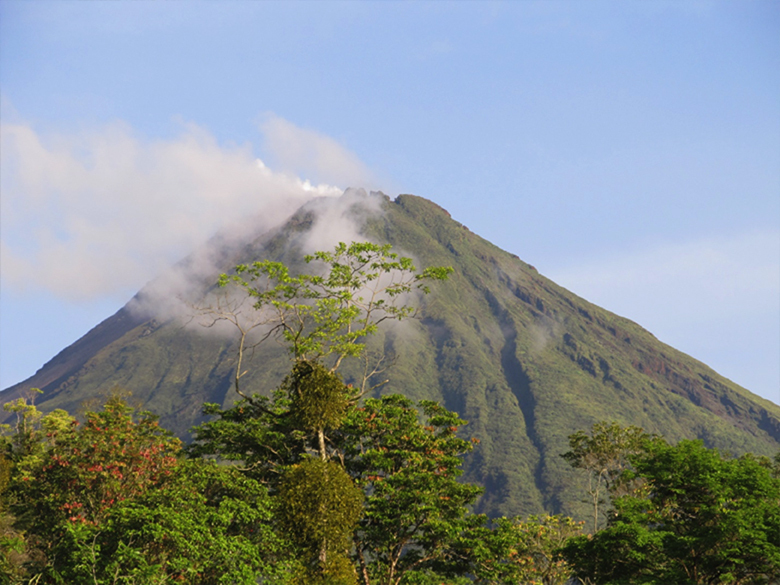 Your visit to Costa Rica would not be complete without a tour to the Arenal Volcano National Park. So, during the morning you will hike on the trails of the national park, leading to some of the Arenal Old Lava Flows and through the rainforest of the park. Then you will have an opportunity to kayak and swim on Lake Arenal. After lunch, you will have some free time to explore the town of Fortuna or to try an optional activity like the canopy tour (zip-lining). Your trip in Costa Rica continues as you head to Los Guatusos lowlands to visit The Maleku Tribe: you will learn some of aspects of their pre-hispanic culture and their current way of life; it will also be a good opportunity to support them and buy their art work and craftsmanship. 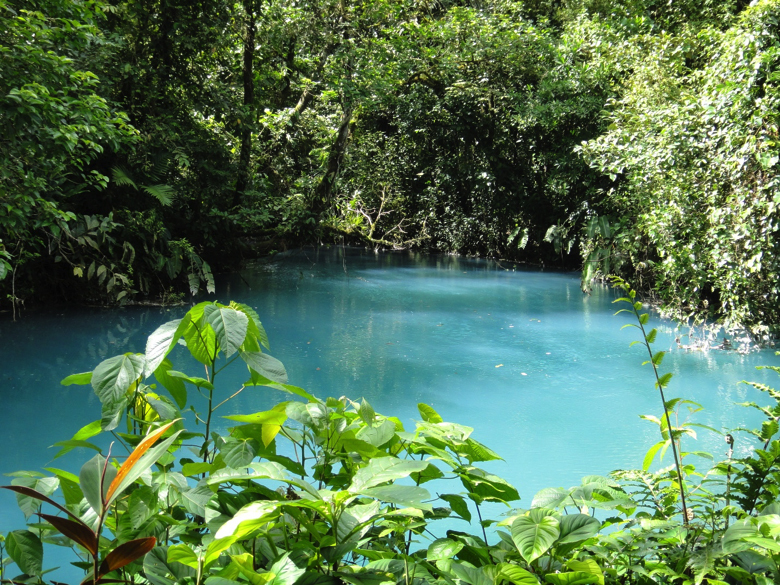 Today you will explore the Celeste River, whose light blue waters are caused by the emanation of sulfur and the precipitation of calcium carbonates. Primary cloud forest and rainforest covers the park, which abounds with flora and fauna species in multiple life zones, many rivers, waterfalls and thermal hot springs. After lunch, you will take the road: you will see three different eco-systems as you leave the rain forest behind, drive across the mountains in order to get to the dry forest on the sunny Pacific side, and drive north to meet the cloud forest at Rincón de la Vieja National Park. 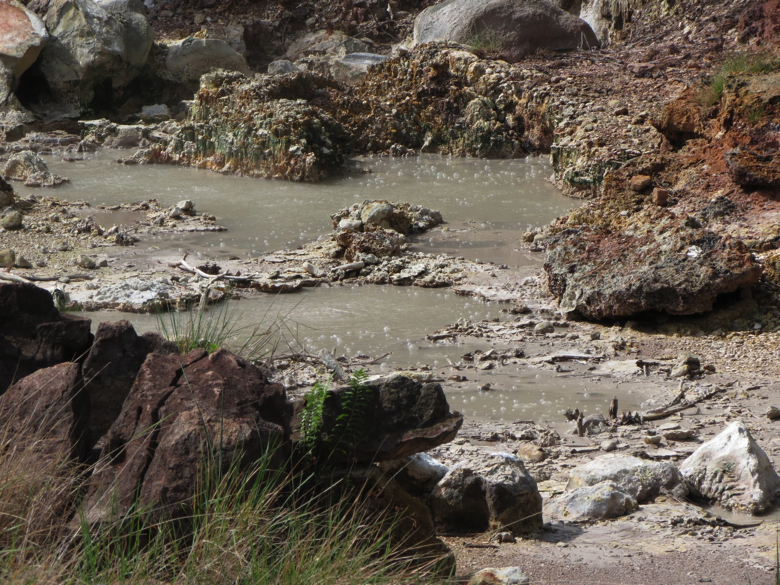 Today you will do some hiking as you will take the park´s trail called Las Pailas, a 3.5km long trail, where you will have the chance to see some secondary activity, such as small craters, fumaroles, boiling mud, and geysers. After the hike we’ll have the option of continue hiking to La Cangreja Waterfall or swim in the refreshing pond of Río Blanco. 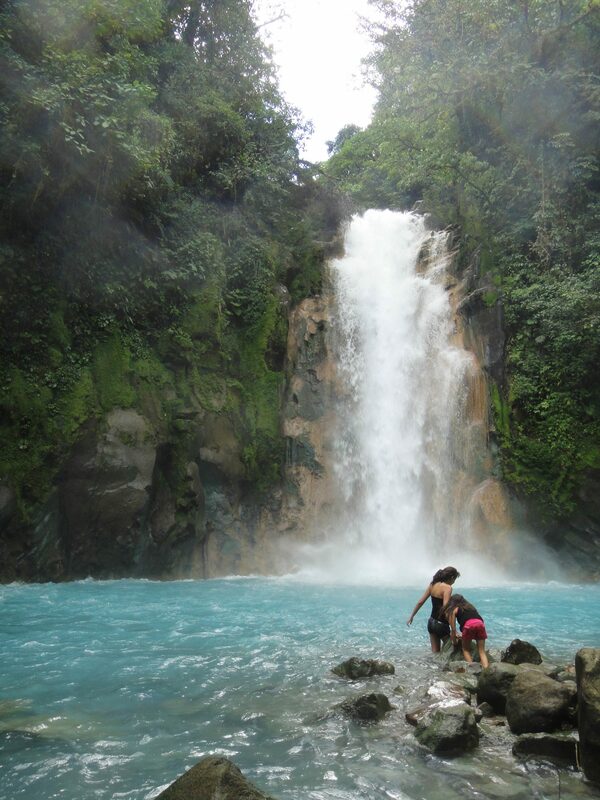 Your Costa Rica vacation is almost coming to an end: on your way back to San José, 15 miles south of Liberia you will make a stop at Llanos de Cortez Waterfall: a spectacular and wide jungle waterfall with a great natural pool at the base, for swimming and refreshing. Farewell to Costa Rica. Transfer out to Juan Santamaría International Airport in San José, say good bye to your new friends, and…. SEE YOU NEXT YEAR!!! HAVE A GOOD FLIGHT HOME!!! We had a wonderfull trip to Costa Rica and all of our guets were very very satisfied. Pls give Alonso our best! Thanks, and he is the best guide! Finishing up the BEST WEEK EVER with Alonso and Roberto. 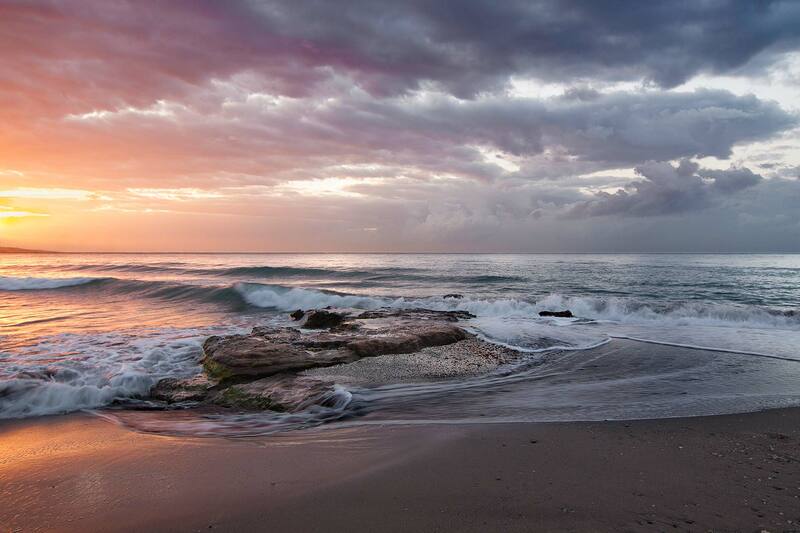 Thanks for your time, the beaches and especially for the magical arribada (sea turtle nesting). Muchas gracias a mis amigos. Hi Roberto, it was a spectacular day! And the organization and the team were simply impeccable. I really hope this is the first of many trips like this one! Many thanks and greetings! Costa Rica gets your heart because of its people, its food and its faune. The very best moment of our tour was when we saw a leatherback sea turtle nesting in Tortuguero: what an amazing moment!